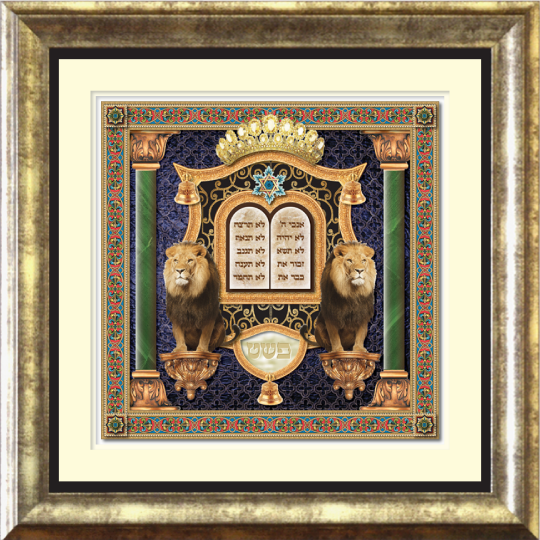 Torah Levels Series :: "Pshat - The Simple Meaning"
The Torah is divided into 4 levels of learning. The first level, Pshat, is the simple meaning of the words. Each word, thought or phrase has meaning, meant for us to learn and study. 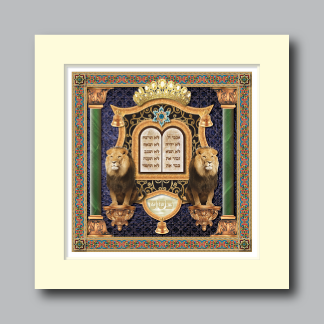 At its heart, the “Pshat” design features an image of the 10 commandments, the laws by which most of us live. 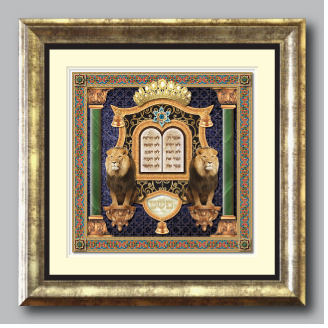 Flanked by these, are majestic lions, that seem to guard and protect the sacred words of Torah. A beautiful crown also appears, reminding us of the treasure that we have been given by Gd.